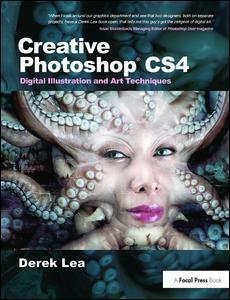 If you are a digital artist, illustrator, cartoonist, graphic artist, designer, or serious hobbyist looking for new and interesting ways to use Photoshop, this is the book for you! You already know how to use Photoshop as an image editing tool, now, challenge yourself and discover the more artistic aspects of the program with one of the world's best teachers by your side. In addition to three brand new chapters on real world projects, this new edition of award-winning digital artist Derek Lea's bestselling Creative Photoshop contains several brand new features such as What you'll learn in this chapter spreads, so you can quickly find projects using the specific tools you'd like to focus on, and Where to go from here information at the end of each chapter, containing useful resources and additional gallery images to provide further study and inspiration. Intermediate to advanced digital artists including illustrators, cartoonists, sci-fi art enthusiasts, and graphic artists who use Photoshop either professionally or as a serious hobby.